Whether it is fresh green in the landscape, flower photos, bees collecting nectar, birds building nests, clouds of pollen flying… show us your interpretation of this month’s theme in a photo. Make a new photo for the quest! Get out! No digging in the archives! Have fun and good light! 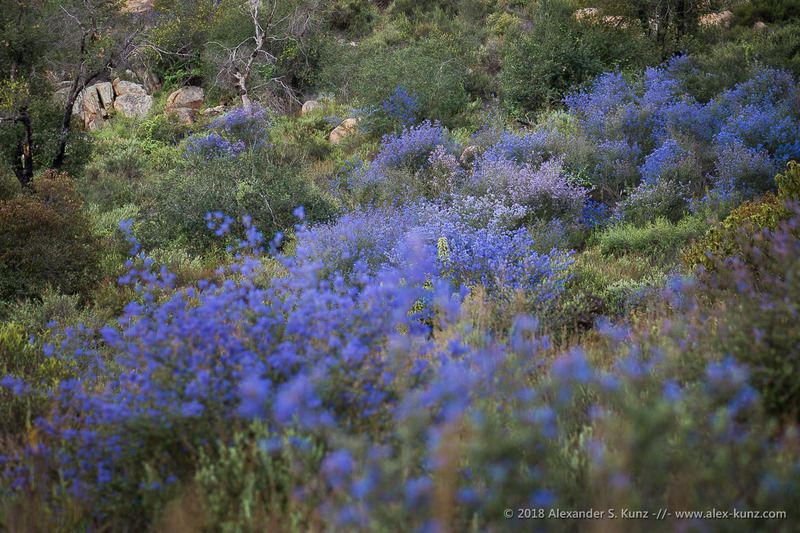 Bushes of Ceanothus tomentosus (Woolly leaf ceanothus) in bloom at Lake Hodges, Rancho Bernardo, California, March 2018.